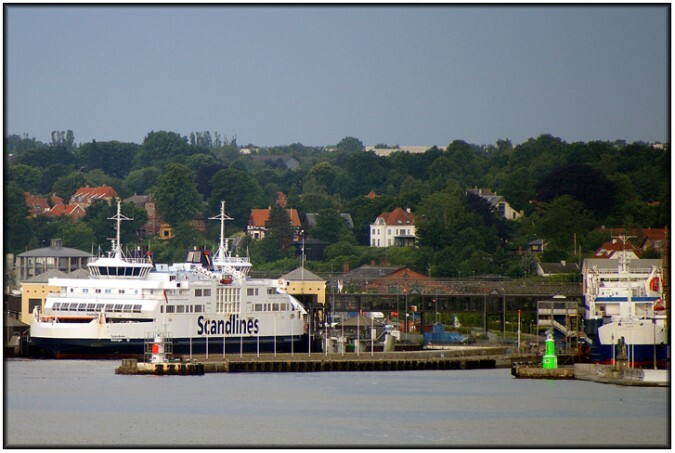 This is the northern example of the pair of identical twin harbour lights that stand at the end of the moles protecting the entrance to Helsingør Harbour. At the time of this visit the southern light, normally a rather "vibrant" shade of orangey red, was painted white, probably as a result of ongoing maintenance. In a way it's a shame that this one hadn't been similarly painted because, if this isn't the most pukeworthy shade of green I've ever seen, then I'd be hard pressed to say what was! Anyway, the tower itself is quite cute I think. It almost looks like a sort of "dolls house" version of a big lighthouse, with its miniature langern and its dinky little doors and windows. 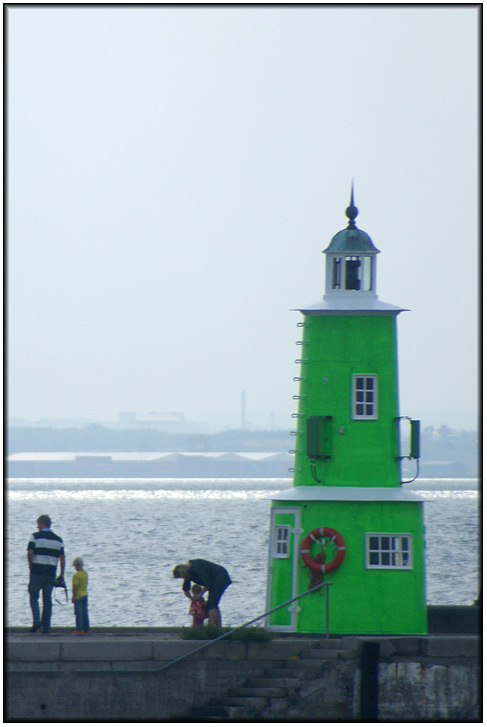 The image below gives a more panoramic view of the harbour entrance and shows the South Mole light on the left and the North Mole (the unmistakably green coloured one) on the right of the entrance.